We would like to thank all our associates and all our past and present clients, for working with us to produce some fantastic websites. 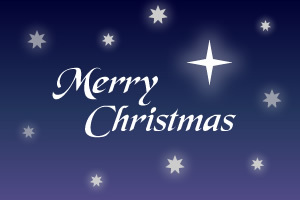 We wish each and every one of you a very Merry Christmas and a Happy and Prosperous New Year. All the best from the Digital Routes team! 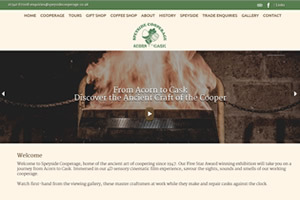 We have built this new website for Speyside Cooperage in association with Bothy Creative who designed the website. The website features videos, slideshows and an image gallery. It is created in a responsive framework to work efficiently upon most devices like laptops, PCs, tablets and phones. 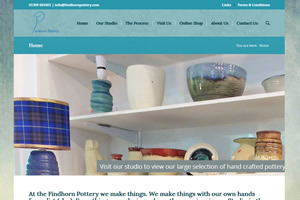 This new website is for Findhorn Pottery located by the beautiful Moray Firth. The website features a complete admin system, slideshow, and responsive layout to work efficiently upon most devices like laptops, PCs, tablets and phones. The site also features an online shop. 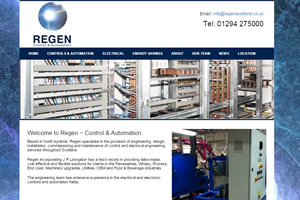 New website for REGEN Control & Automation Scotland. Based in North Ayrshire, Regen specialise in the provision of engineering, design, installation, commissioning and maintenance of control and electrical engineering services throughout Scotland. 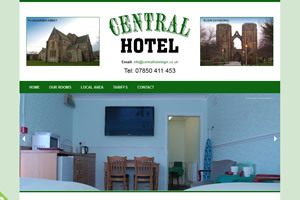 Central Hotel in Elgin is ideally located within the town centre but is also in a great location for visiting local attractions like Elgin Cathedral, The Biblical Gardens and Pluscarden Abbey; and there are glorious beaches along the coast like Lossiemouth, Cummingston, Hopeman, Roseisle and Findhorn. 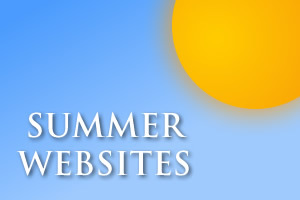 It has been another busy season for us and a number of websites have been created and made live over the summer. Many clients and also many existing clients have been needing new responsive websites that are more SEO friendly with the new Google changes. Because of this, all our new websites - unless there are specific requirements - are built to be responsive across all devices. This new design for Corriebreck Gardening Services is one of our latest responsive websites working on iPads, iPhones, PC's Mac's and various other devices. 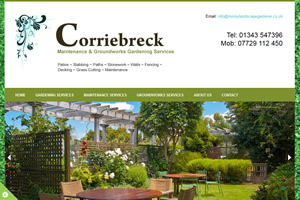 Based In Moray, Corriebreck provides an extensive range of landscaping and gardening services including, patios, slabbing, paths, stonework, walls, fencing, decking, grass cutting and general maintenance. 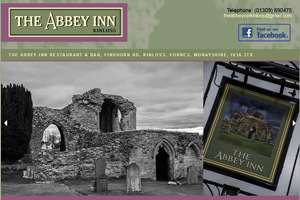 The design of this new website closely follows the Abbey Inn branding and is fully responsive. It features a slideshow, Facebook news feed, and an integrated Google location map. The Abbey Inn dates back to the 16th century. It is under the new ownership of chef Robert Sheach, previous owner and chef at the Duffus Inn. The Abbey Inn sits in the heart of Kinloss on the Kinloss/Findhorn road and enjoys a traditional cozy ambience. The inn will be serving good pub grub based on locally sourced produce and cooked to a very high standard. Whether you are looking for a night out, a quiet drink or a family meal visit The Abbey Inn Kinloss. 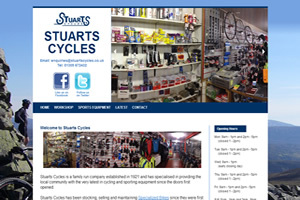 The design of this new website closely follows the corporate branding and is fully responsive. It also features a slideshow. 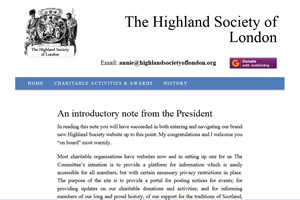 This great new website has many features including an online shop, events calendars, location map and contact form. Content is editable by the client. 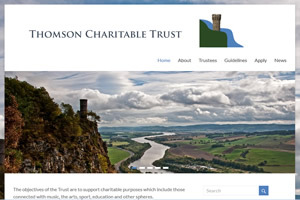 This simple website was built and designed to the client's brief and incorporates a JustGiving donation button. 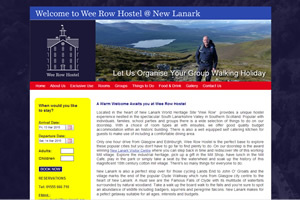 This website features a slideshow, timetables, image galleries, location map, blog and contact form. This new website features a slideshow and news blog. 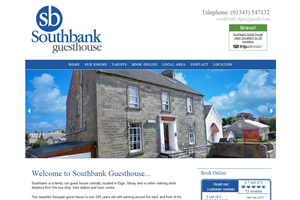 Like all our latest sites, it is fully responsive, working across many devices. 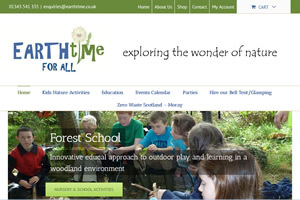 This is a new website that we have designed and built in association with Morscot Utilities. The site is responsive, working on all platforms like ipads, tablets, phones, PC's and Apple Mac's. It features a slide show, facebook feed, enquiry form, an embedded location map and the content is manageable by the client. This is a new website that we have designed and built and the site is responsive, working on all platforms like ipads, tablets, phones, PC's and Apple Mac's. It features a slide show, online booking, gallery page, enquiry form, an embedded location map and the content is manageable by the client. 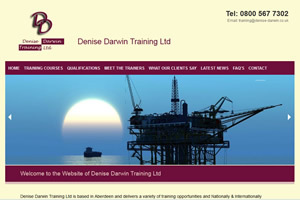 This is another new website that we have designed and built and it is fully responsive for mobile phones, tablets etc. It features a slide show, galleries, an embedded location map and the content is manageable by the client. 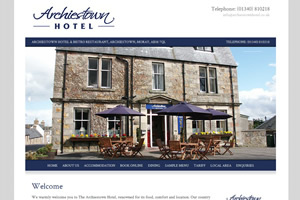 This is a new website that we have designed and built for The Archiestown Hotel based on their corporate branding. It features a slide show and is a responsive website working on phones, tablets and computers. The content is also manageable by the client. This is a new website that we have designed and built for them based on their existing sites using their corporate branding. 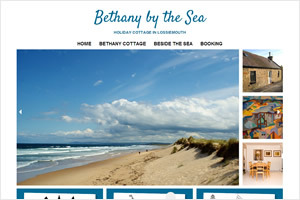 It features a slide show, online booking, a basic gallery page, an embedded location map and the content is manageable by the client. This is a new bespoke responsive website designed and built by Digital Routes which scales to numerous devices for PC's, Macs, Tablets, iPad's, netbooks, chromebooks, etc. There is a slide show, location map and content is manageable by the client. This new website is a bespoke responsive website designed and built by Digital Routes which scales to numerous devices for PC's, Macs, Tablets, iPad's, netbooks, chromebooks, etc. It features a slide show, location map and an availability checker. We have had a couple of websites go live this month. 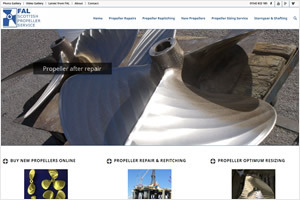 This site is a wordpress site for FAL propellers featuring an easily manageable content system and slideshow. 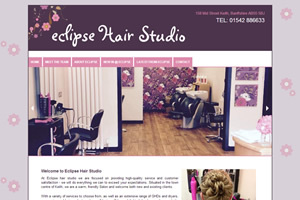 This client has been with us since we designed and built their previous website a number of years ago. We hope all our clients and friends have had a great Christmas and a wonderful start to the New Year. Again, the year has started off with an inundation of maintenance and website builds. We currently have at least three new sites underway which will become live soon. Maintenance wise this month we have already performed work for a number of new and long existing clients including PerryGolf, New Lanark, and BBRA. All our sites are now built responsively, which means they work brilliantly and scale to size on iPhones, Tablets, iPads, Chromebooks, etc. and still retain their good looks on PC's too. Digital Routes has been offering web design and hosting services since 1998. 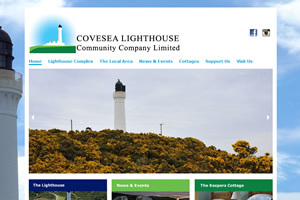 Looking for web design in Lossiemouth or in Elgin or web design in Moray or web design in Scotland or the UK? Look no further! We build our websites to be found by search engines, used by everybody on virtually any computer and they are designed to be easily maintained by our clients.